Essentials Bundle for JVC Everio GZ-R440, R450, R460, R550, R560, RY980 Video Camcorder with LED Light Case Flex Tripod Accessory Kit. W/ CAMCORDER W/ DSLR W/ POINT-AND-SHOOT. Now you can shoot faster, capture super-smooth digital video, withread/write speeds of up to 95MB/s and 45MB/s respectively. I am reasonable and will work with you. 100% authentic SanDisk memory card Adapter not included. NEW SEALED - All standard accessories included. It would be very much appreciated. Product Type: MicroSDHC. Micro SD (SDHC and SDXC). SD (SDHC and SDXC). Mini SD (SDHC and SDXC). Storage Capacity: 32GB. 1 x Standard Samsung SD Adapter. Product Manufacturer: Samsung. Manufacturer Part Number: MB-MP32GA. Now you can shoot faster, capture super-smooth digital video, withread/write speeds of up to 95MB/s and 45MB/s respectively. These cards are waterproof (up to 1m for up to 30 minutes), temperature proof (-13° to 185°F), static proof, X-ray proof and shock proof (withstands impacts, vibration and bending). Essentials Bundle for JVC Everio GZ-R440, R450, R460, R550, R560, RY980 Video Camcorder with LED Light Case Tripod Accessory Kit. W/ CAMCORDER W/ DSLR W/ POINT-AND-SHOOT. Now you can shoot faster, capture super-smooth digital video, withread/write speeds of up to 95MB/s and 45MB/s respectively. With capabilities to write data at speeds over 41MB/s, the SD 400X series supports HD and 3D video recording as well as rapid-fire RAW photography in DSLRs. Delkin aggressively supports their cards for one simple reason,their cards work. This high performance SD card is UHS-1 enabled with transfer speed up to 60MB/s. This card is water-proof, temperature proof, x-ray proof and shock proof. SanDisk USA warranty. Easily remove from your camcorder and insert into computer or TV for viewing. Lexar 32GB SD. Condition is New. Shipped with USPS First Class Package. 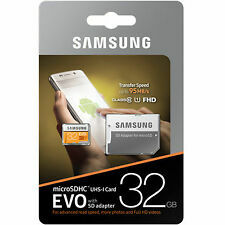 maxflash 32GB full HD video 1080p micro sd action cam memory card. Condition is New. Shipped with USPS Priority Mail. 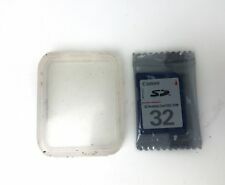 2 SanDisk ultra 8GB SD card. SDHC Class 4. 100% authentic. what you see is what you get. 1 x SanDisk 32GB MicroSDHC Card. Optimal speed and performance for SDHC compatible devices. High storage capacity (32GB) for storing essential digital content such as high quality photos, videos, music and more. Condition is New. -Highest SD card video recording performance with both class 10 (C10) And UHS Speed class 3 ratngs for capturing full HD(1920x1080). -Built for and tested in harsh conditions temperature proof, water proof,shock proof, and X-ray proof. 1Full HD (1920x1080) video support may vary based upon host device, file attributes, and other. Rated A1 for faster app performance3 and Class 10 for Full HD video1. 10-year limited warranty4. This high performance SD card is UHS-1 enabled with transfer speed up to 45MB/s. This card is water-proof, temperature proof, x-ray proof and shock proof. SanDisk USA warranty. Compatibility with all SDHC enabled device per SD standard. Get The Best SD Card for your product. International Sales. What's in the box?. Great Service. Capacity: 32GB. Sport Optics. High speed data transfers. Model Number:STC-32GB. Product Information. Military & Tactical. Ideal for premium Android based smartphones and tablets Up to 98 MB/s transfer speed Class 10 for Full HD video recording and playback Water proof, temperature proof, shock proof, X-ray proof and magnet proof Memory Zone app lets you auto-manage media and memory for peak phone performance Comes with SD adapter for use in cameras Ten-year limited warranty Brand SanDisk MPN SDSQUAR-032G-GN6MA Format MicroSDHC Capacity 32 GB x2 Product size 15 x 11 x 1 mm Product weight 1g Product Type Memory Card Class Class 10 UHS-I EAN 0619659161422 Brand SanDisk UPC 619659161422.